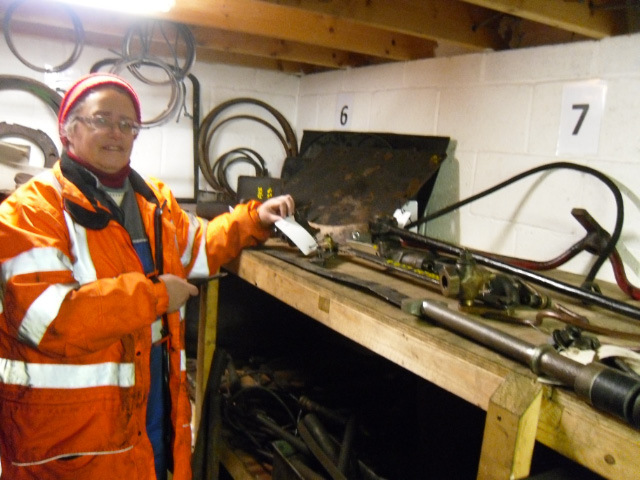 A total of 6 today at Deviation shed, Andy & Joan Lowes, Ian Pearson, Peter Ellis, Trevor Wilford & Nigel Bill. I would say everyone really enjoyed the day, the banter was spot on & bits were coming off the loco faster than photos could be taken. One more mouse met its maker, traps were reset. The smoke box boys continued breaking the concrete until the blast pipe bolts & base were exposed. 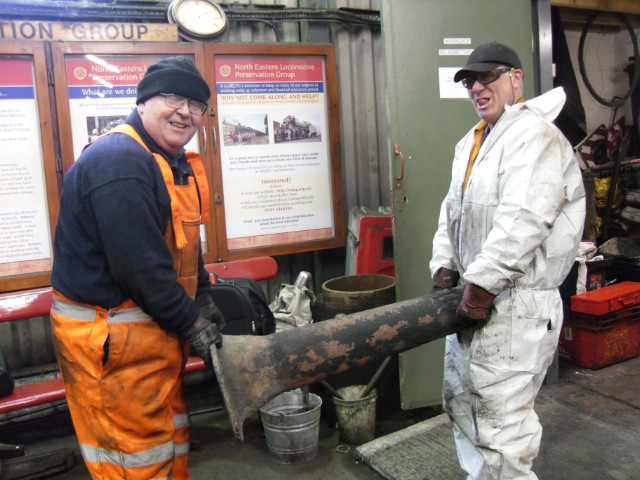 While they had a break the bolts holding the chimney & both smoke box inspection plates were removed. Then with utmost care, as we had been advised that the blast pipe base had been repaired in the past, it was released from the steam chest. It was then put into storage for cleaning at a later date, see photo. The remaining lower row of elements was then removed, one fought back to the point where some other cunning plan was devised to get it out! If you think you need to know how it was done, then you should have been there. 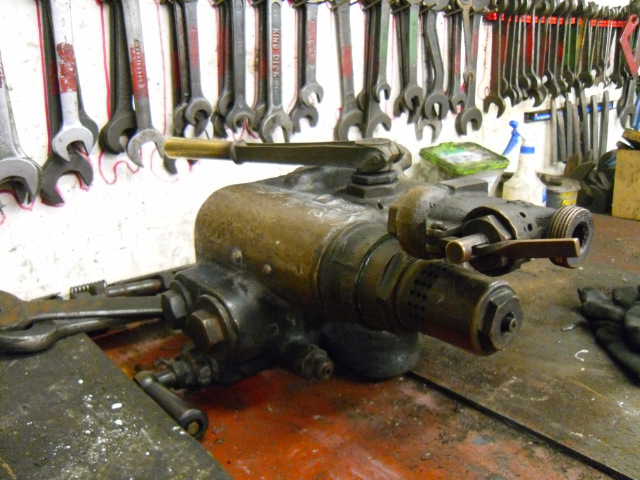 The brake ejector in the cab still made a desperate effort to beat us but we were having none of it, we overcame all resistance & removed said item to the workshop bench for overhaul. A lot of small items received attention also today, the fusible plugs were removed from the fire box crown & the inner box swept clean of soot. The reverser steam pipe was refitted along with the isolation valve to the steam cylinder. The glands on both reverser cylinders were nipped up & locking nuts added. The copper pipe from the manifold to the ejector has been annealed & been given some attention to the bends, it now requires some new bandage to finish it off. The lubrication pipes under the steam chest were put back with some joint sealing paste to make sure they don’t leak.